Many parents fret about how quickly and easily their kids learn to read. Along with talking and walking, it may be the skill that they are most concerned with. It can place a lot of pressure not just on the child, but on the parent as well. There is an entire industry geared towards getting kids to read at an early age, and parents are buying up those products in record numbers. Whereas in the past, kids didn’t even start to read until around the age of eight, now kids are entering kindergarten already knowing how. The problem is that all of this emphasis on reading may just put unneeded pressure on everyone involved, and frustrate the child. Here are some things to know to effectively help your child read. Children who pick up reading early and those who do not are too often placed in different boxes. However, how early a child learns to read has no bearing on their future reading skills or habits. Do not assume that your child is slow if they are not reading by the time they get to second grade. You should not assume the opposite, either. Some kids just need some more time to master the skill. Things tend to even out during their middle elementary years. If you think your child is slow learning, then drilling them with phonics and placing pressure on them may end up hurting the efforts. Kids can start to view reading as more of a chore than a joy, and will shut it out. For most adults, reading has become second nature. We see words and we know what they mean or we can quickly use clues to decipher what they mean. However, in the brain there is a more complicated process happening underneath the surface. Our eyes see the bunch of lines and dots, and our brain almost immediately recognizes the pattern and assigns meaning to what the eyes see. 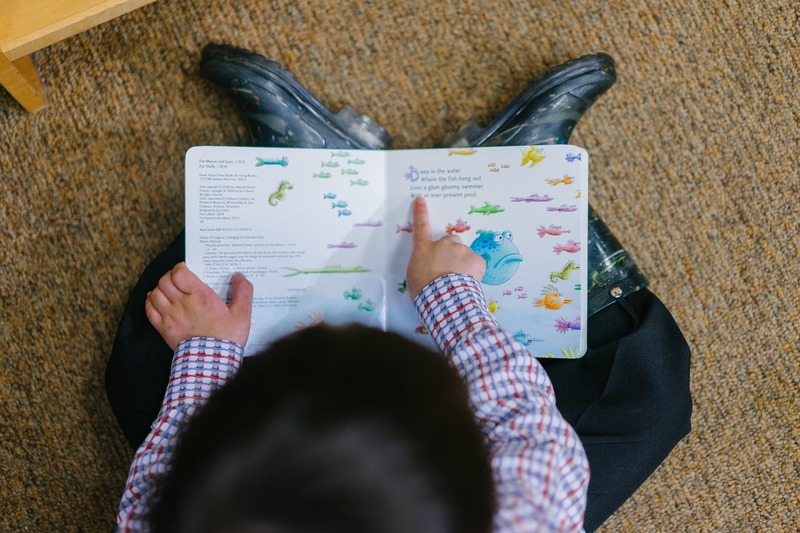 The connections between the eyes and the brain take time and practice to strengthen and develop, so reading can take time. A child will learn that what the letters mean and how to recognize them, and then will learn how to put them together to make words. This is a process known as sounding out. Recognizing patterns and translating them into meaning is only a part of reading. Sure, a child can sound out a word, but they also must be able to process what they word means. They must be able to determine if a “hat” is a person, a place, or a thing, for instance. Then they must be able to understand grammar and punctuation in sentences. As they develop, they will be able to place things in context to understand what is going on. They will get that animals do not normally talk, which might make a story more interesting. They will also learn to empathize with certain characters and understand the potential consequences of what those characters do. Understanding all of this takes time to develop and for a child to practice. Learning to read is a years long process. Parents and teachers should always remember to be patient and nurturing when helping a child to read. It is not about having the best reader in first grade, it is about developing a lifelong love of reading.